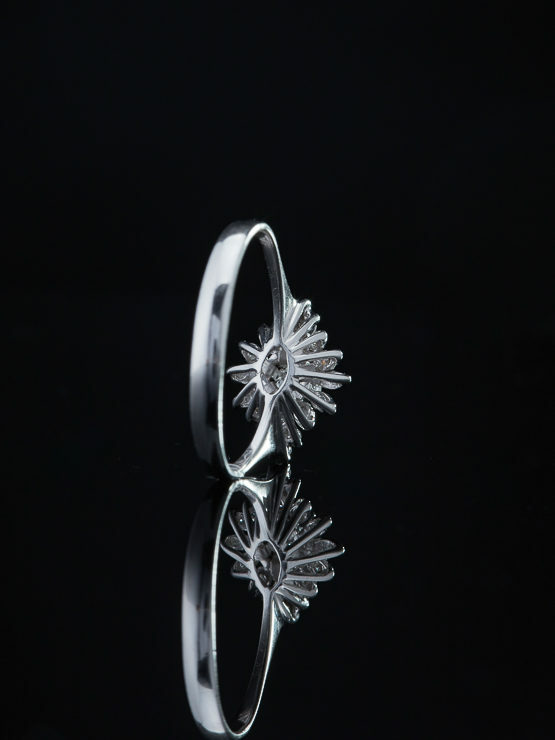 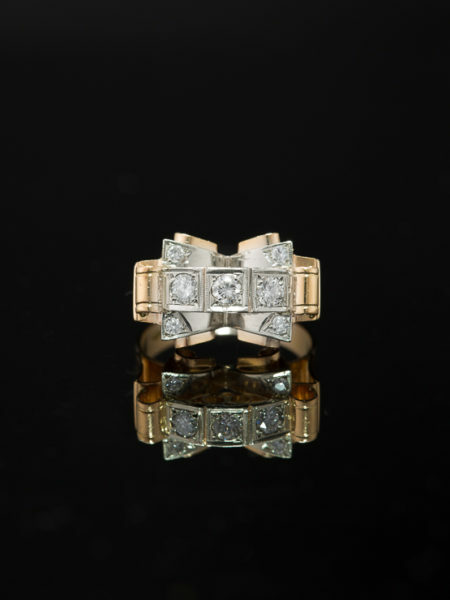 Feminine in appearance but strong in reality this feminine Vintage diamond flower ring embodies both in a spirit of intricate creativity. 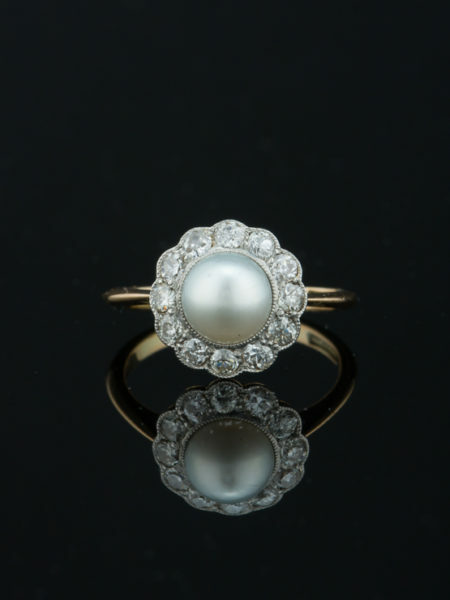 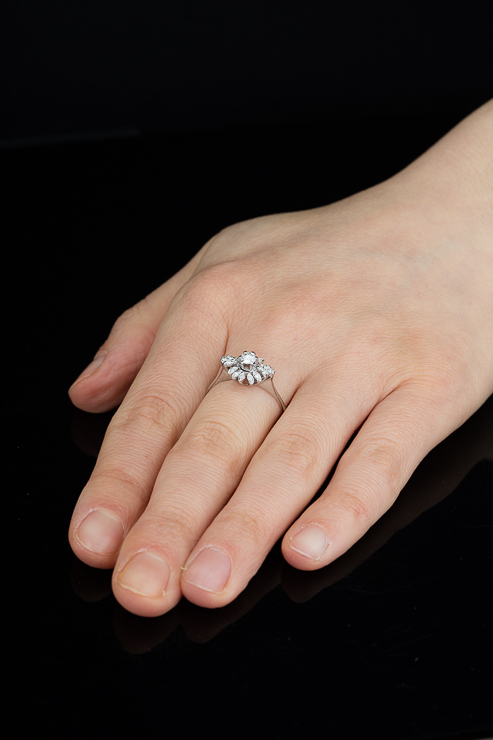 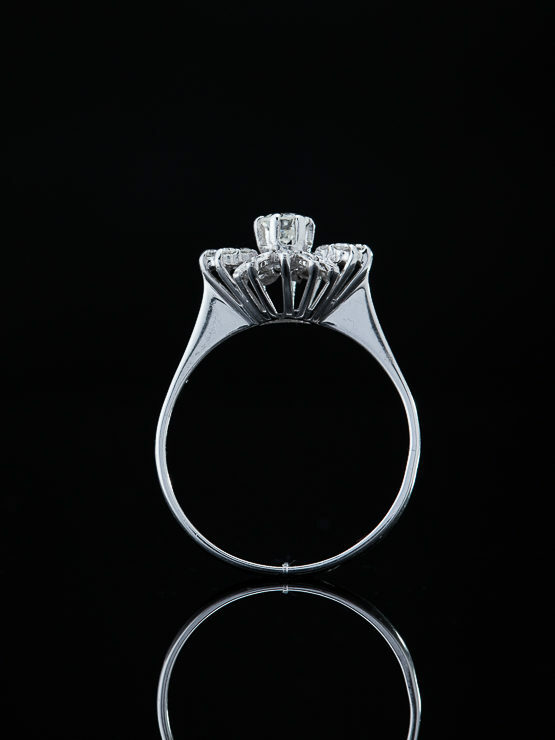 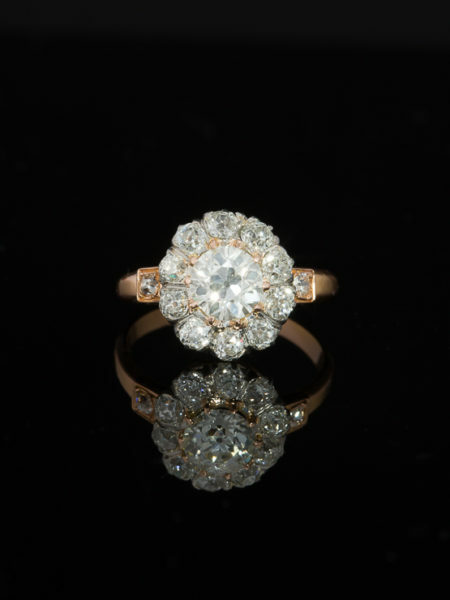 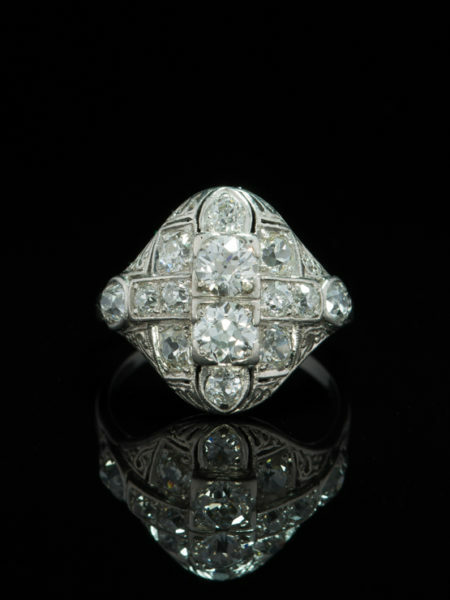 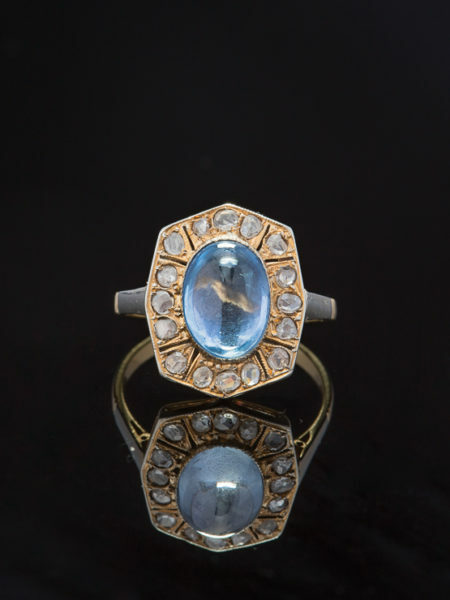 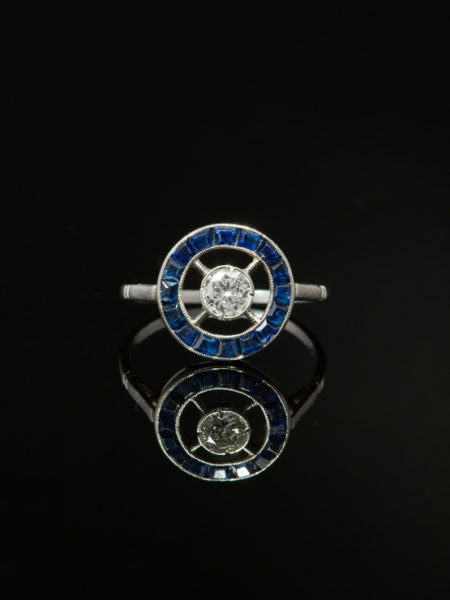 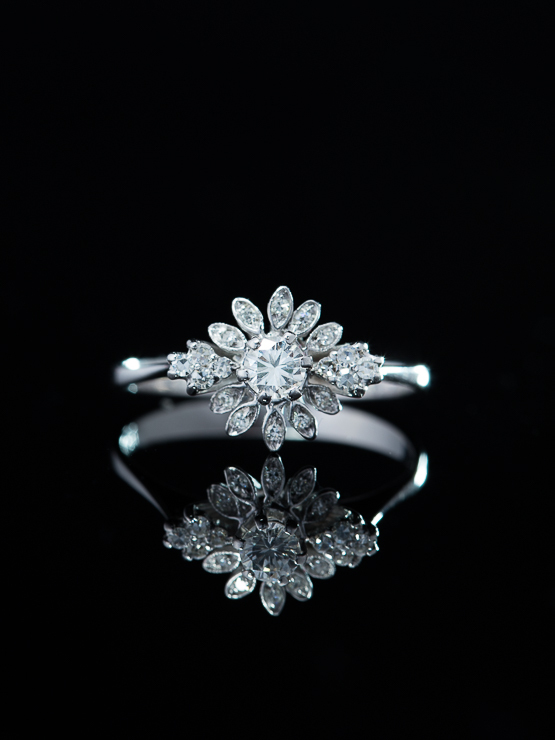 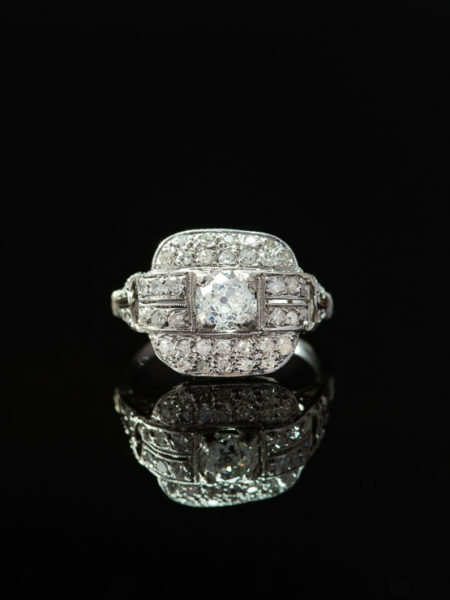 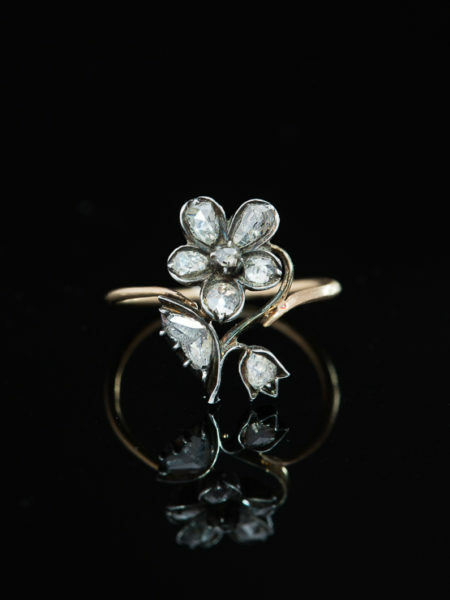 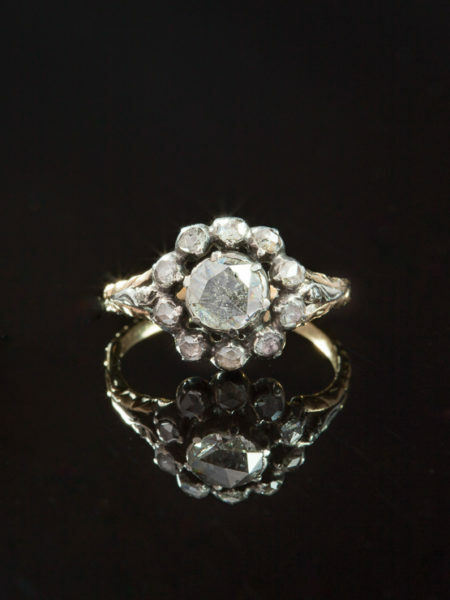 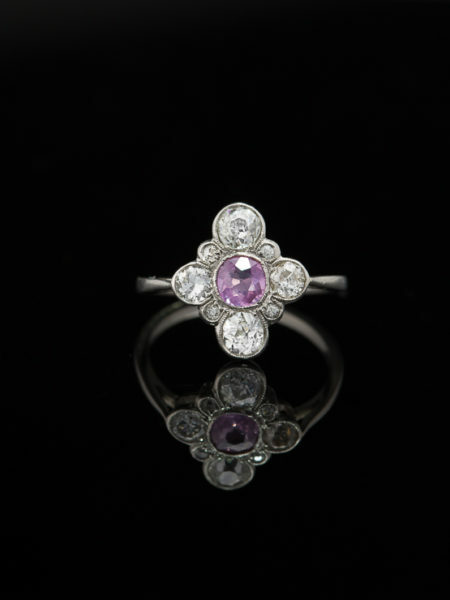 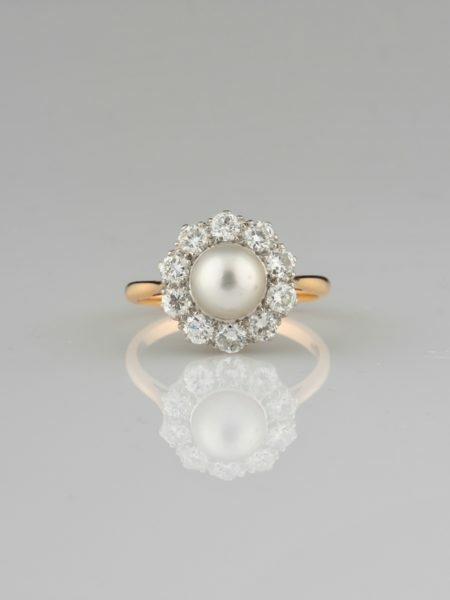 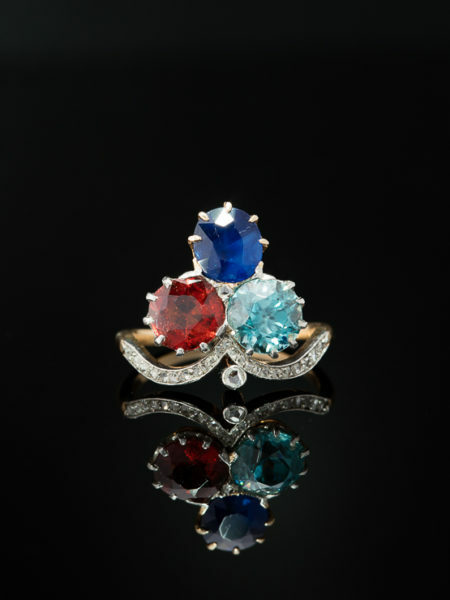 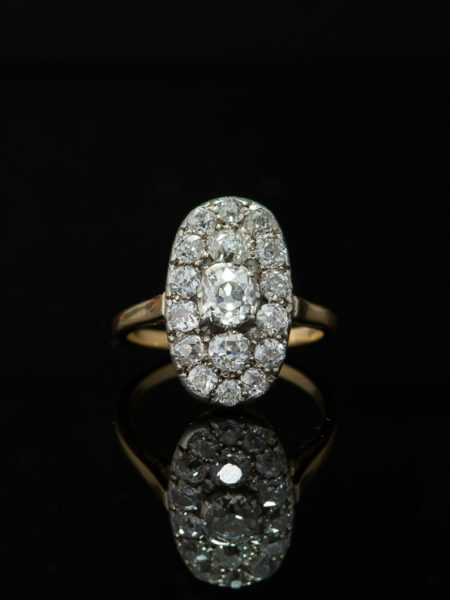 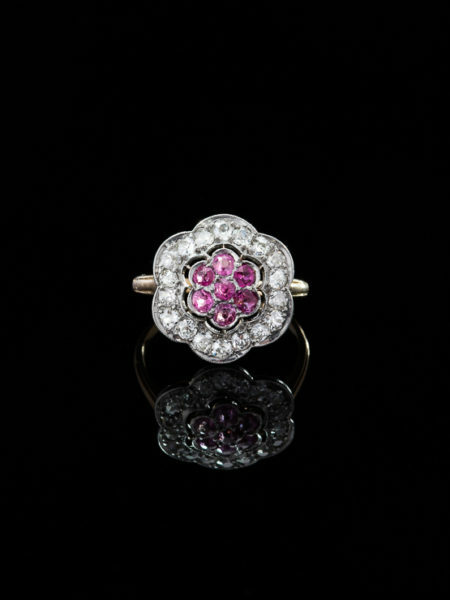 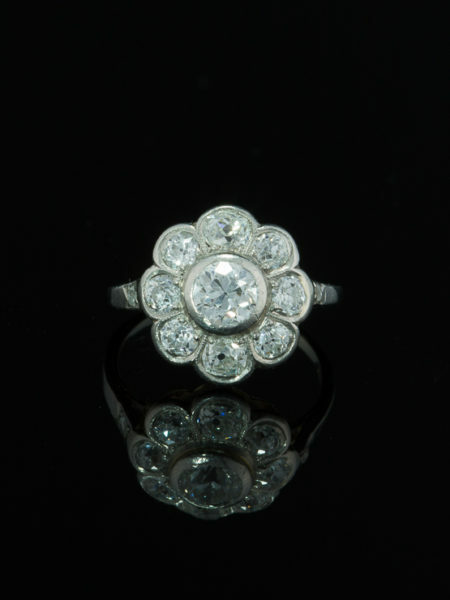 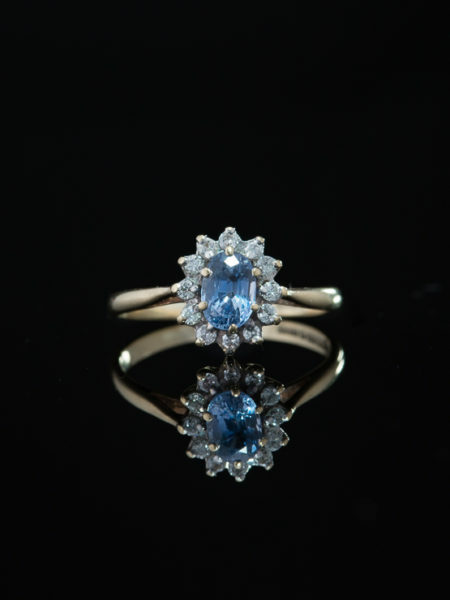 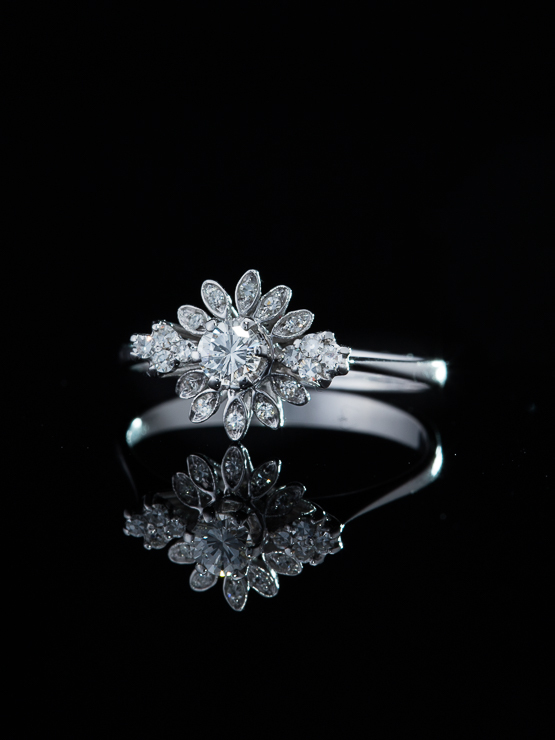 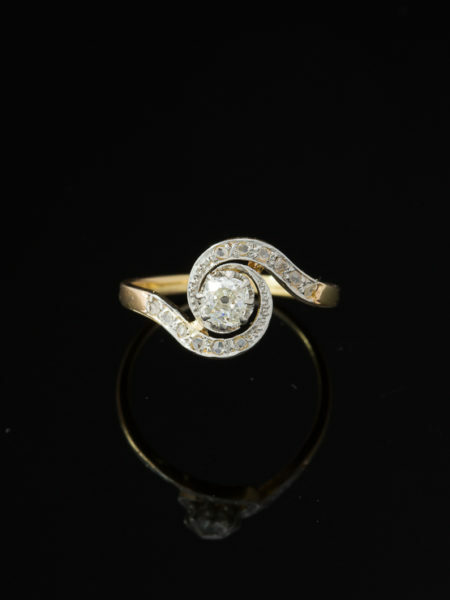 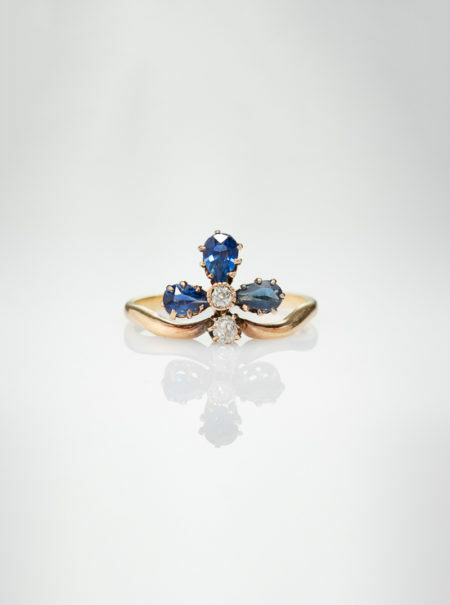 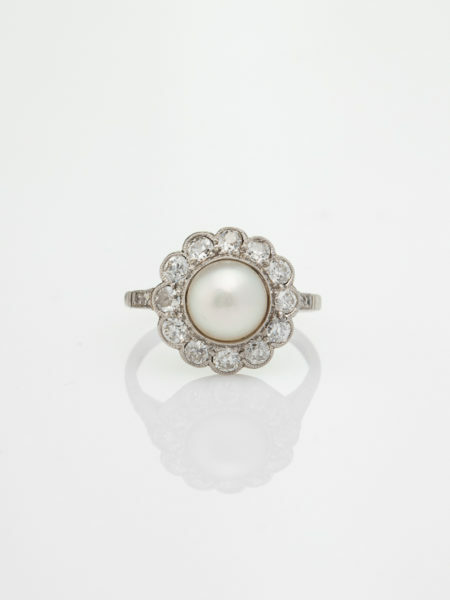 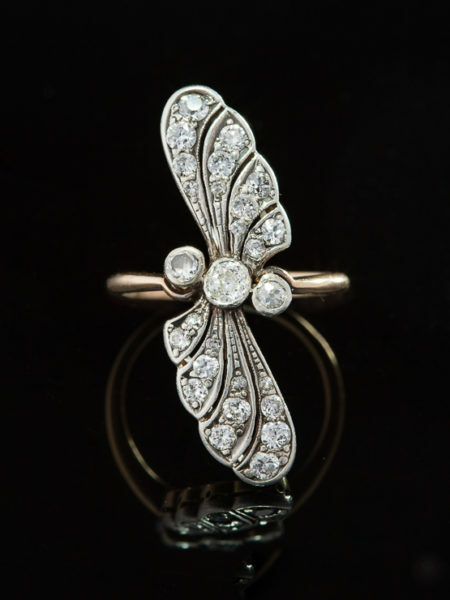 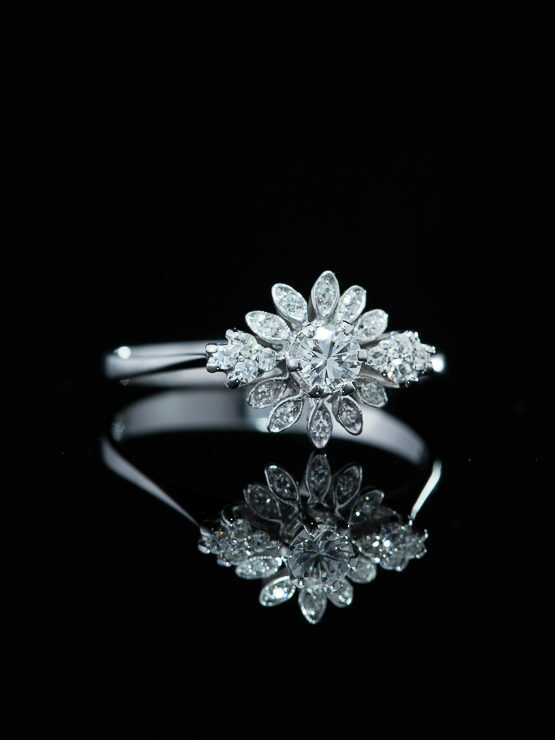 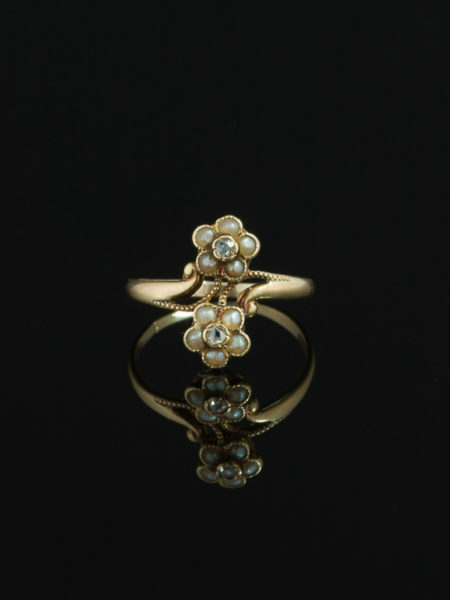 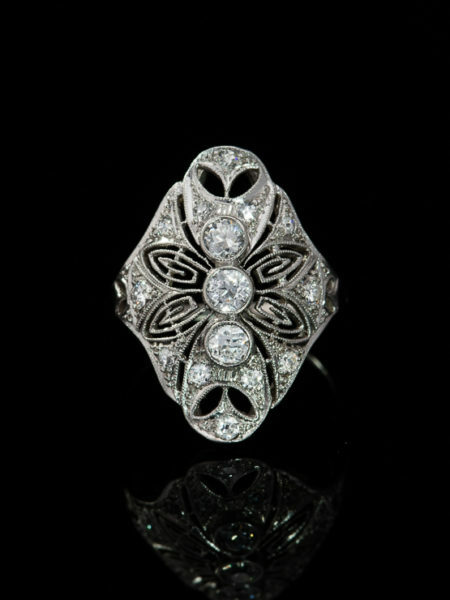 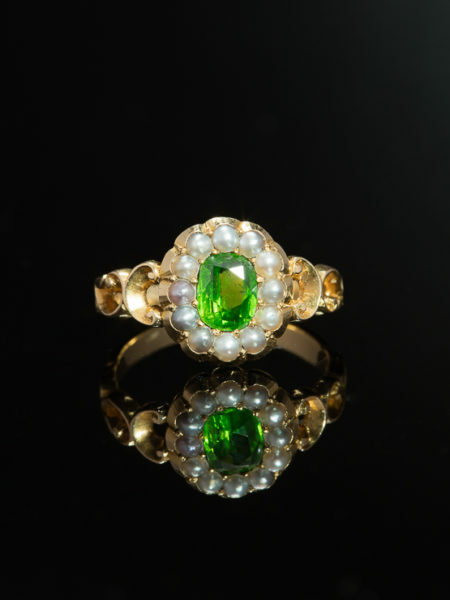 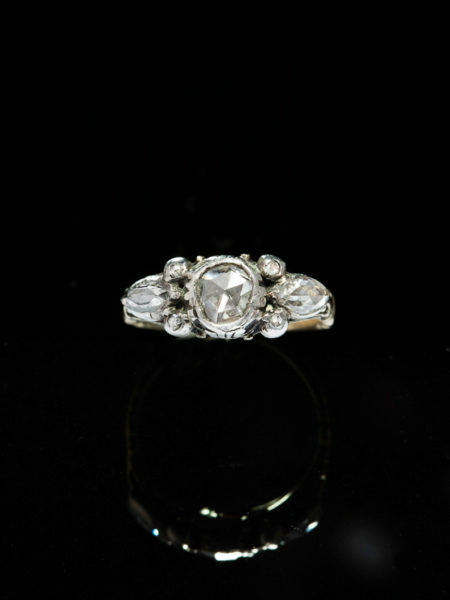 Step right into Spring with this flower of a Vintage diamond ring. 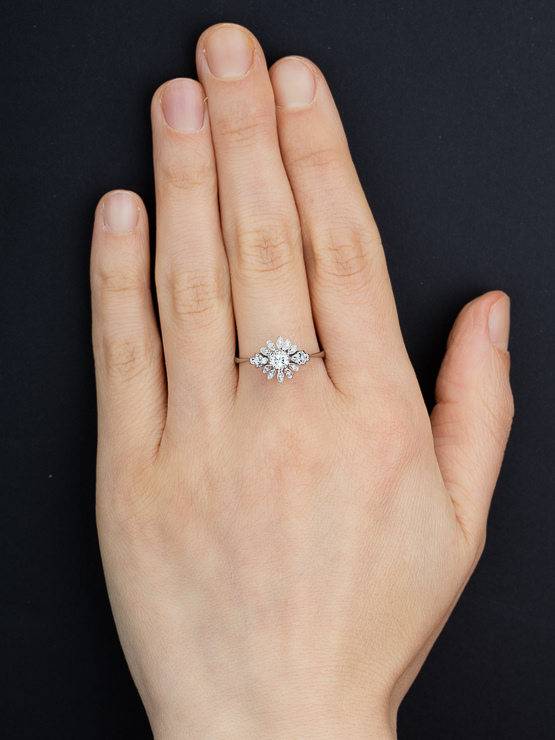 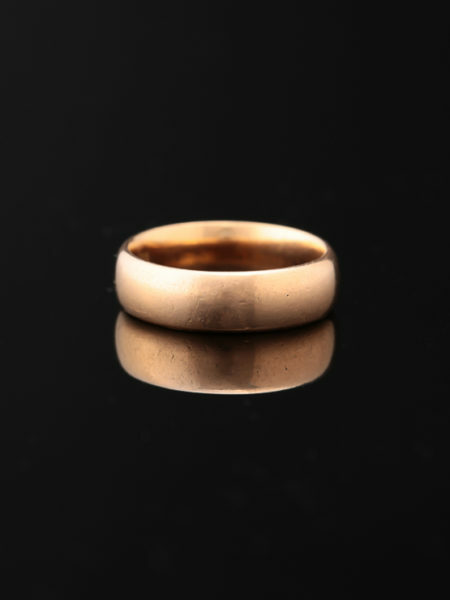 All in white gold, the setting is tailored and understated, it has a unique flair while maintaining a classic, never-go-out-of-style profile. 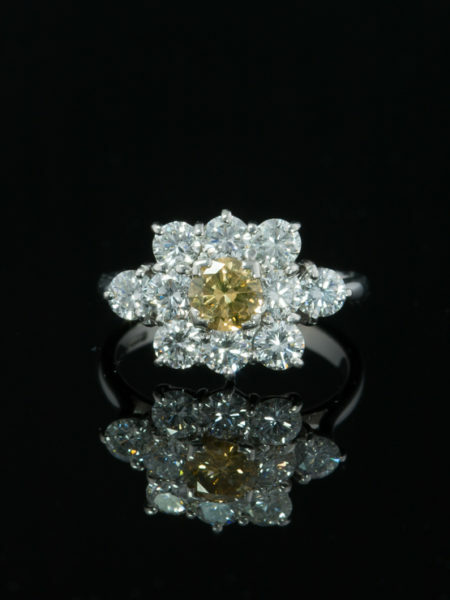 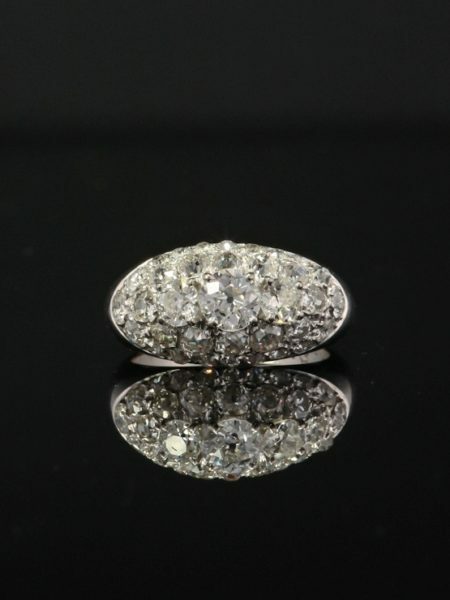 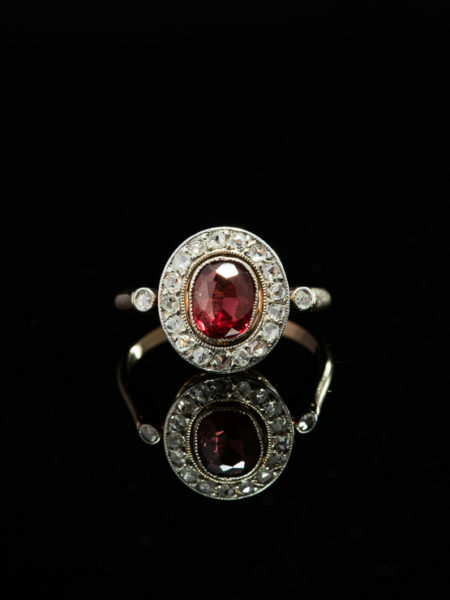 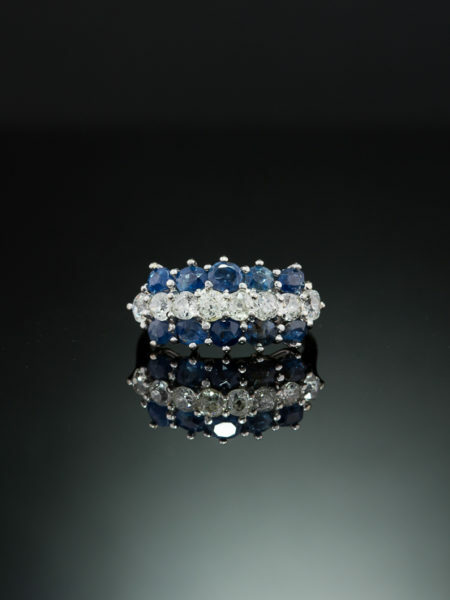 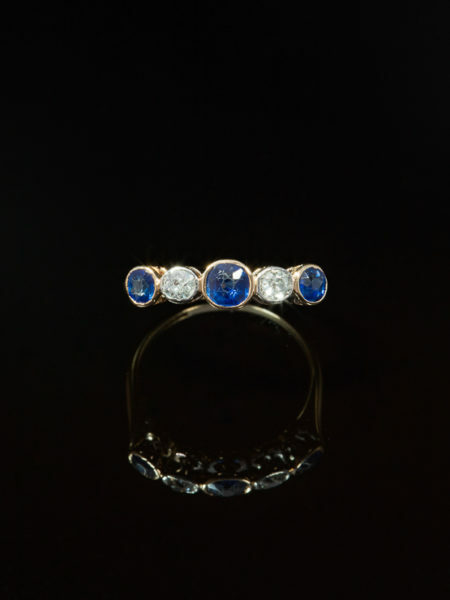 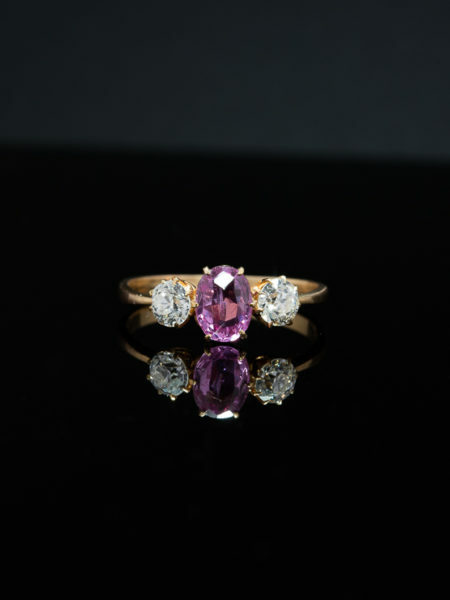 At the center a brilliant cut diamond of approx .24 Ct of great clarity and colour dazzles with pure flashes of light. 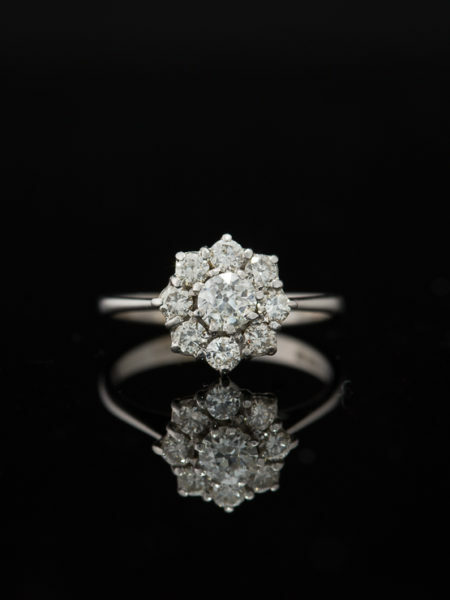 All around are eighteen old cut diamonds with a total approximated weight of .28 Ct blossom with intrigue as the petals of a cluster ring. 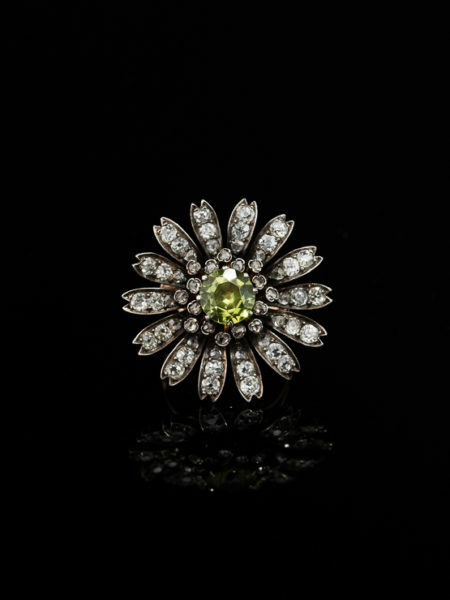 All glittering and fiery, fine quality with nothing the sue picks up but scintillation in a dance of sparkle and shine. 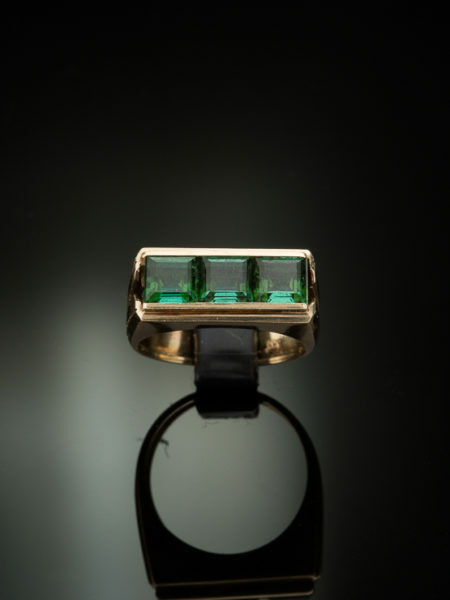 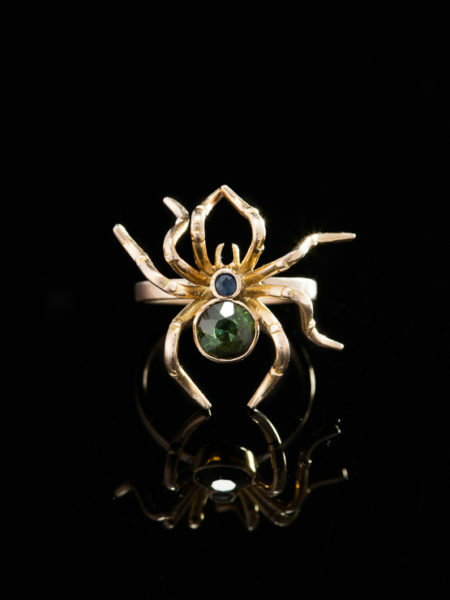 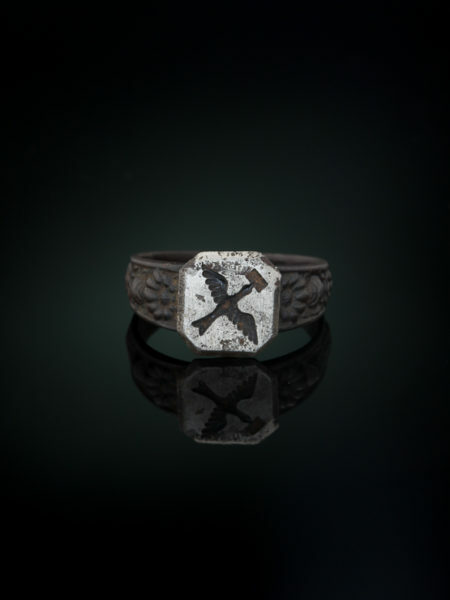 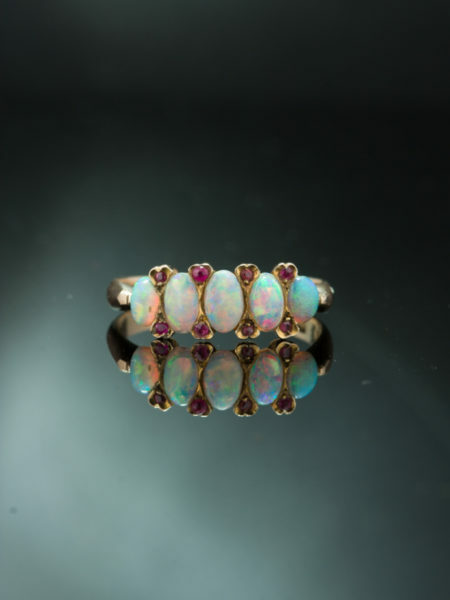 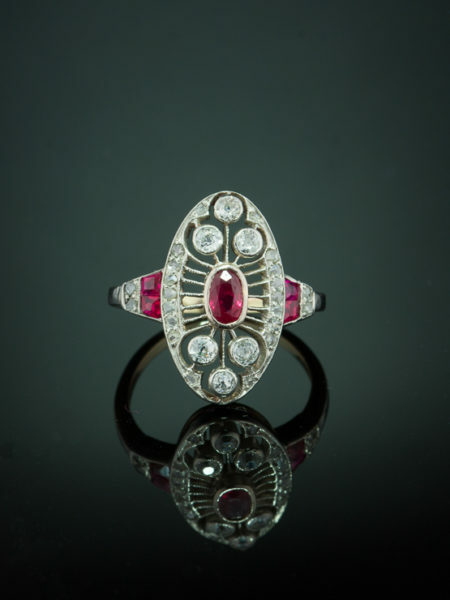 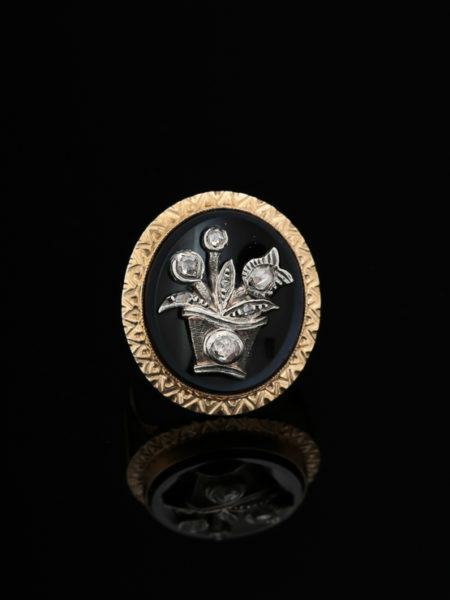 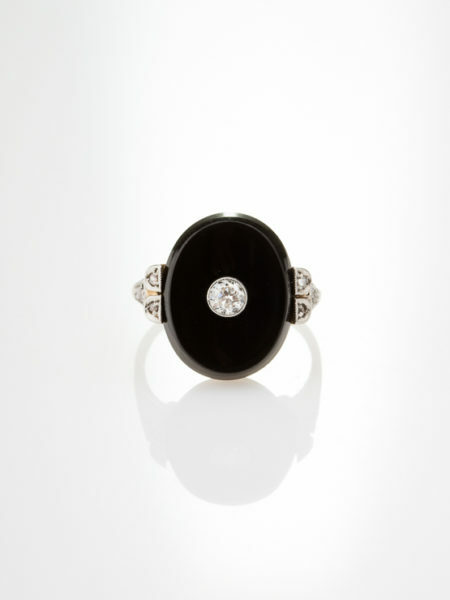 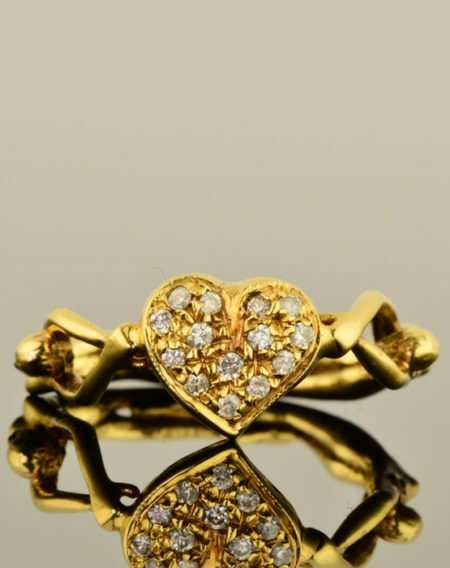 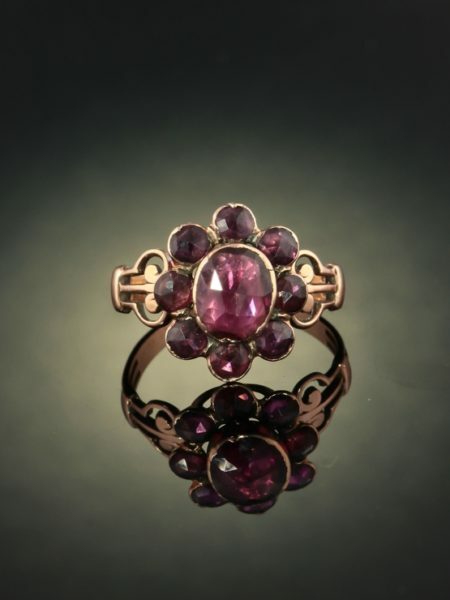 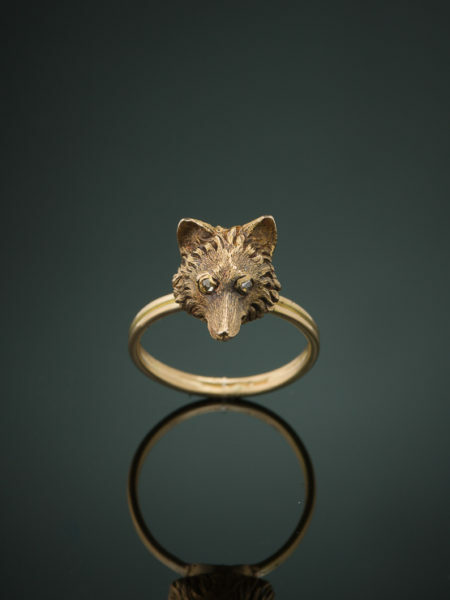 Incised accents and fine details give voice to a ring of of playful joy and glittering highlights. 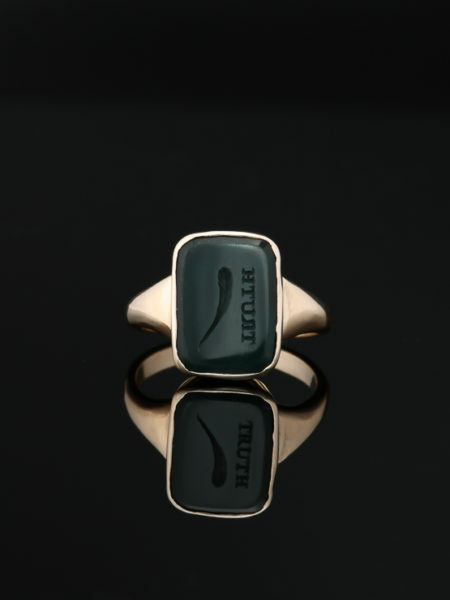 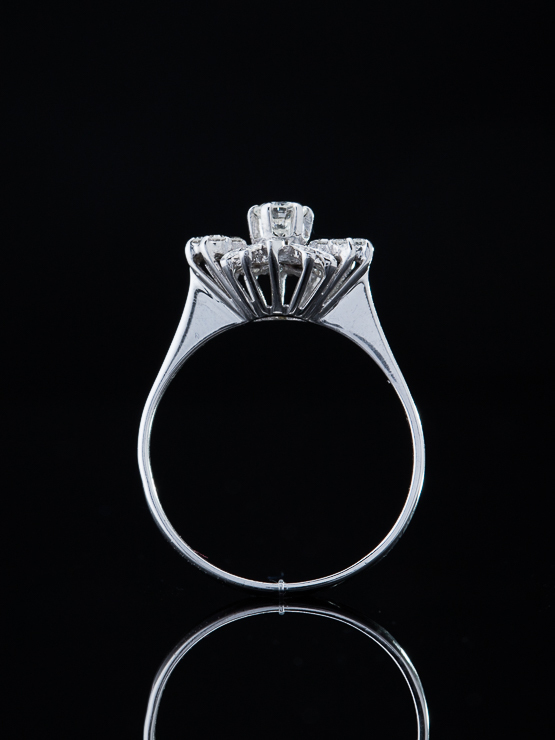 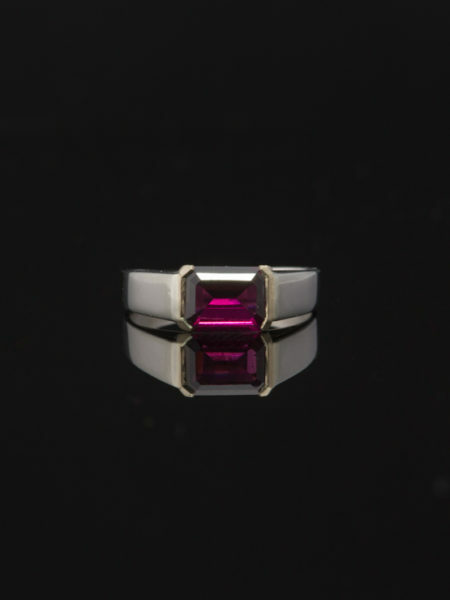 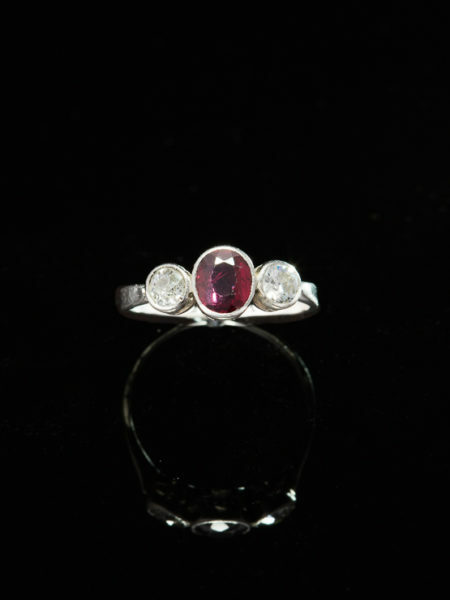 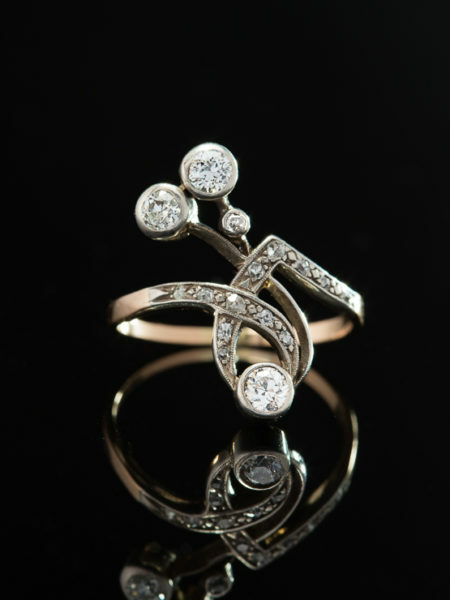 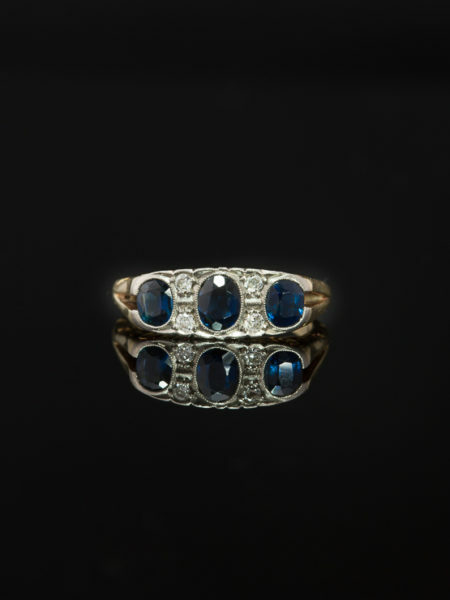 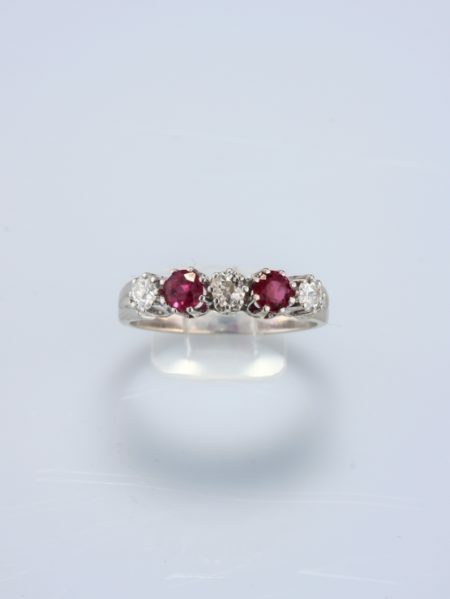 Artfully crafted in 18 Kt white gold during mid-century, marked.